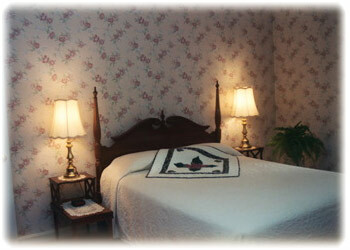 Rooms & Rates :: Rooms and rates are based on double occupancy. Additional people are $15/person or $10/child (under 16 years). Named after the Kwansan Cherry Tree viewed from both room windows, these lovely, adjacent rooms are located on the first floor at the end of a separate hallway. A perfect situation for an extended family get-away, two couples travelling together, or any friends willing to share a bath (tub/shower). The featured bunk bed makes this a favorite for children! A pullout matress and futon are available for a 7th or 8th person. 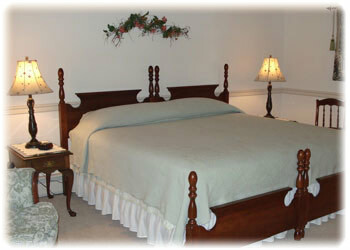 This room is truly magnificent, with spacious first-floor accommodations. 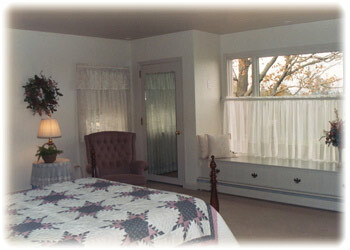 Relax in the recliner rocker or cozy sofa and enjoy views of the northern mountains, pastures, orchard, and sugar maple tree through the enchanting picture window. 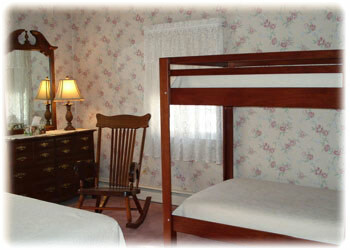 The room features a queen bed and a pullout sofa bed (size of a double bed) which easily accommodates a family of four. A pullout mat or futon is available for a 5th person. 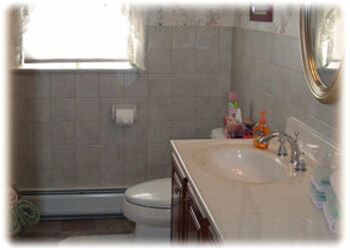 Spacious bath with over-sized shower (removable shower head). 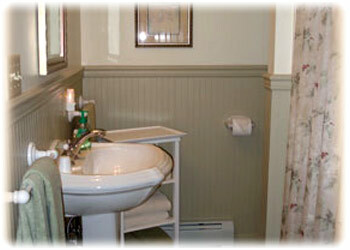 The room is pleasantly situated on the second-floor with its own private walkway and entrance. Overlooking spreading pine trees and spectacular views to the north and south, this secluded room features a queen bed, two twin beds, small room for a hide-away crib or mat, a full bath (tub/shower), and its own heating/cooling controls. Full, hearty breakfast served family-style at 8:30 AM in dining room. Sunday breakfast is served at 8:00 AM. Evening coffee or tea available. 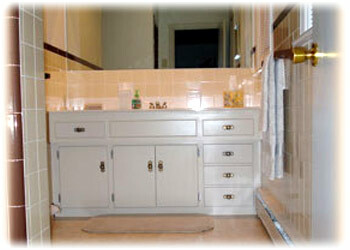 Central air-conditioning, private baths, ceiling fans, and alarm clocks. Large common room with fireplace, board games, and small toys. Animal chores and pony rides. 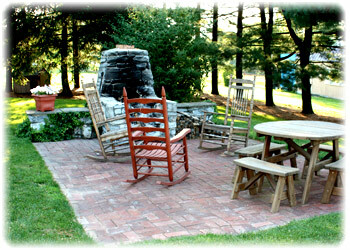 Large swing set, slide, tetherball, basketball, lawn games (in season). Cash or Personal Checks. We do not take credit cards. 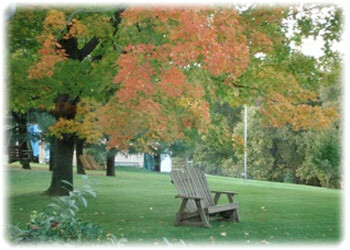 Rates subject to 6% PA sales tax and 1.1% Lancaster County local tax. Request one night deposit at time of reservation. 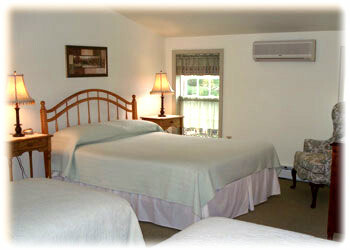 Two night deposit for 4 or more night stay. A check deposit MUST be received within 10 days of reservation. A $35 cancellation fee will be charged for all cancellations. If you cancel your stay less than 14 days prior to arrival, your deposit will be refunded (less $35 cancellation fee) ONLY if we are able to re-rent the room for your entire stay.